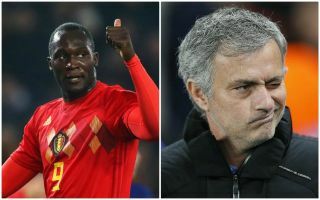 Manchester United striker Romelu Lukaku is working to persuade his Belgium World Cup team-mate Dries Mertens to snub a transfer to Chelsea and join him at Old Trafford this summer. Mertens is known to be a top target for Maurizio Sarri as he prepares to leave Napoli for Chelsea, but CaughtOffside understands the forward is also on United’s radar. United could do with attacking reinforcements this summer and have been linked with other big names like Willian and Gareth Bale in that position after Alexis Sanchez’s slow start with the club. Mertens has shone for Napoli and would be another ideal addition to this squad, particularly as he’s linked up so well with Lukaku at the World Cup. The 25-year-old has enjoyed playing alongside the Napoli man and is now understood to be pushing him to join him at United next season. It remains to be seen if this will prove successful as Mertens himself may favour working alongside Sarri at Chelsea, with the Italian tactician successful in getting the best form of his career out of him. Still, unlike Chelsea, United have Champions League football on offer next term and the prospect of linking up with Lukaku again could be more tempting than playing alongside flop striker Alvaro Morata at Stamford Bridge. Dries Mertens and Romelu Lukaku to be club team-mates next season? This one is very much up in the air, but Jose Mourinho will hope his player can do the business and lure a huge talent to Manchester once the World Cup is done.